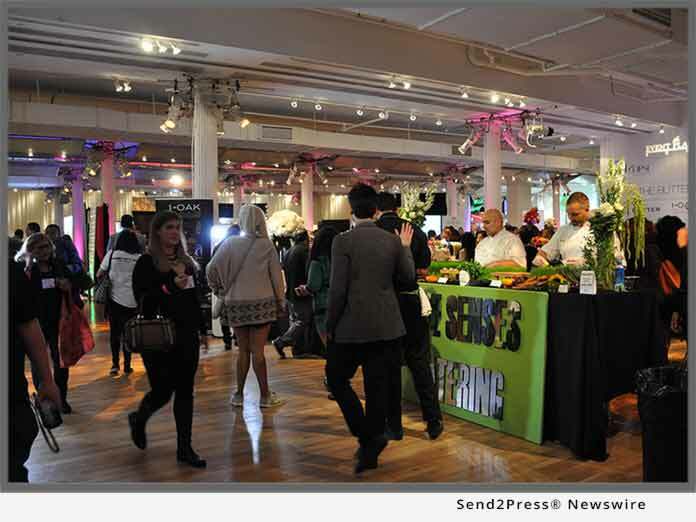 NEW YORK, N.Y., Apr 17, 2018 (SEND2PRESS NEWSWIRE) -- This year EMRG's Media Event Planner Expo in New York City has been extended to two days of networking and education for those in the event planning industry. The event will kick off on October 2, 2018 with an educational series at the TKP New York Conference Center followed by a day of meeting with exhibitors on October 3 at the Metropolitan Pavilion. Jessica Stewart, vice president of marketing, EMRG Media, says they're thrilled to have Barbara Corcoran, one of the "Sharks" from ABC's hit TV show, "Shark Tank," be this year's keynote speaker. "Corcoran is one of the most successful entrepreneurs in the country and is sure to motivate and inspire," Stewart says. Corcoran will speak on October 3. An exclusive book signing and pre-reception is available for "All Access" ticket holders. The October 2 speaker series will include educational sessions featuring industry leaders and a keynote session led by Colin Cowie, a well-known celebrity event planner and lifestyle guru. These two days will provide infinite opportunities for event planners to connect with more than 3,000 event planning professionals, exhibitors and corporate decision makers from companies such as Google, Vayner Media, Barclays, Estee Lauder and Facebook. This year, EMRG also welcomes several new exhibitors such as Visual Comet, Carey Meeting & Event Services, and A La Mode as well as past exhibitors that include SPiN, B.B. King Blues Club & Grill, propNspoon, Butter Group and NYC Flower Project. "We're helping people to build their brand, business and increase sales. We're the premier trade show for the events, marketing and hospitality industry," Stewart says. For more information about speaker and all access tickets, times and locations, visit: http://www.theeventplannerexpo.com/. EMRG Media is a premier, full-service marketing, event planning and publishing firm based in Manhattan. Over the last 16 years, it's garnered public acclaim and recognition as an innovative, corporate event marketer with an impressive roster of clients. Its exclusive corporate client base includes names such as JP Morgan Chase, Blue Sky Studios, Barclays, Edelman, Conde Nast Publications, and the Alzheimer's Foundation. Learn more about EMRG at: http://www.EMRGMedia.com/.